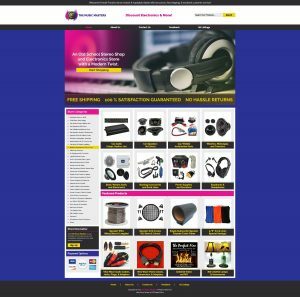 It can be challenging to make a choice between designing your eBay template yourself, and using a design agency for your eBay template. While eBay makes designing your eBay template easy and accessible, it can be time-consuming to get the results you want. And, it’s challenging to ensure your eBay template generates clicks and sales. On the other hand, hiring a design agency to design your eBay template can ensure truly professional outcomes. And yet, this option still carries a significant price tag. Let’s take a look at the pros and cons of self designing your eBay template vs. using a professional agency to design your eBay template. If you choose to work with an agency, you can hand off all the heavy lifting to a design team; which means literally no work for you, so you can focus on your business. When you have your eBay template designed by an agency, you can rest easy knowing that you’re getting amazing design from real, seasoned professionals. Design agencies will be able to provide you with highly optimized, fully-targeted content that is designed to get you actual returns on your investment. You will need to spend time communicating with a designer, and reviewing drafts of your eBay template design. This means taking the time to communicate on the phone or via email, and a willingness to communicate what you’re looking for. There is an initial investment when you use a design agency to design your eBay template, and sometimes, you will need to pay your agency to update your eBay template so that it stays in compliance with changing policies. Before you choose to go ahead with a design agency, it’s important to ensure you have the funds to cover those costs. When you design your eBay template yourself, you get to have complete control over the process and outcome. This means you can shape your eBay template to your unique vision, and you don’t have to worry about communicating that vision to a professional designer. If you’ve designed your eBay template yourself, you can rest easy knowing that you have the skills to make changes to your eBay template whenever you need. This means you won’t need to pay a designer to make updates, and you can update and revise your design any time you wish. Designing your eBay template yourself is a great way to save funds. You won’t be paying the upfront, initial rate for a designer or agency to create your template, and you won’t have to pay additional rates for frequent updates. Designing an eBay template yourself can take a lot time, and you’ll need to set aside hours, days, or in some cases, even weeks, to complete on your own. While eBay makes templates accessible for new designers, it can still take time to learn the ropes, and even more time to get the results you’re looking for. When you choose not to use a design agency, you also forego truly professional results. You may miss opportunities, or pass up chances to make a real impact on your buyers. When you’re weighing the pros and cons of using a design agency or choosing self-design for your eBay template, remember to look at your own unique needs. You know exactly how much time you have available for the design process, and you know what your priorities are. Make this decision – not based on what others say – but on what you know you want for your eBay template. Need help making the choice between self design and using a design agency for your eBay template? Give us a shout at 609-675-0912. Our friendly team members are eager to help you make a decision based on your unique needs.